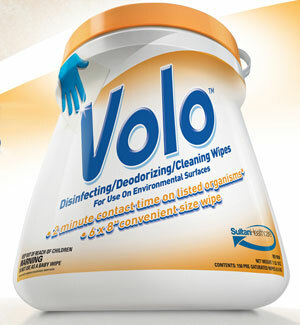 When You Need to Disinfect…Go Big! Sized to fit your hand, and the job perfectly. 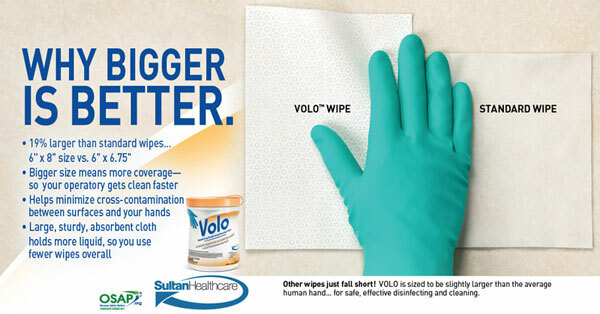 19% larger than other wipes..
Offer valid April 22-May 17, 2013 Limit one offer per office. It’s that time of year again where we all make the pilgrimage to Anaheim for the California Dental Association’s Spring Session. Pre-registration numbers look pretty good, so that means lots of people mulling around the convention center and surrounding areas. This will be my 21st CDA and I thought I would share a few tips to make the CDA a bit more enjoyable. Get there early! This is Southern California and traffic can be bad especially on Thursday and Friday. Allow extra time to get to Anaheim and find parking. Look for signs that direct you to the parking areas. The parking lot on Convention Way and Harbor is just a short walk away and less congested. If you are staying at a local hotel, consider walking or see if the hotel has a shuttle to the convention center. Save a few bucks on parking and get some exercise at the same time. Arrive early as some of the courses fill up fast or some become standing room only. Lunch options…if you don’t want to eat at the convention center, you can take a short walk off the property and there are plenty of places to eat that are less crowded and more affordable. Make reservations….NOW!!! With so many people in town for the CDA, these restaurants fill up quickly. Wear comfortable shoes…walking to the center, classes and the convention floor in uncomfortable shoes makes for a miserable day. Visit the convention floor…please remember that the exhibitors spend a lot of time, effort and money to have booths at the CDA. Walk the convention floor and see what they have to offer. Without the exhibitors…there is no convention. Stop by booth #1386 and say hello! I hope that these tips will help make your CDA less stressful, fun and productive.